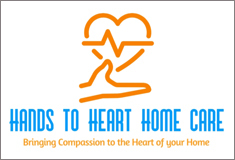 Hands to Heart Home Care is a registered non-medical healthcare company located in Fairfield County, Connecticut. The company was established to provide respite care, personal care, and companionship for the elderly. We also provide services to those recovering from an illness, surgery, childbirth and/or disabled. Here at Hands to Heart, we are passionate, dedicated and committed to our clients. To uphold this level of integrity; all our caregivers go through a careful interviewing process, national background check and continuous home care training programs. Our caregivers are deeply rooted with compassion, warmth and have a genuine love of caring for others. Our clients are the core of our company and we work collaboratively with them and their healthcare team in collecting information that will assist our caregivers with providing the proper care. We strive daily to ensure that our clients receive the care they not only need but want. Hands to Heart Home Care is committed to providing quality home care services while treating all clients with dignity, respect, and compassion. Fairfield County, New Haven County, and Surrounding Areas.